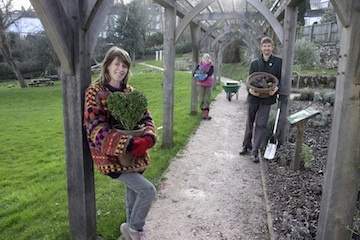 On March 16th, over 200 Community Gardens in the U.K. will be encouraging us to put our best foot forward, step outside and join in with 'The Big Dig'. 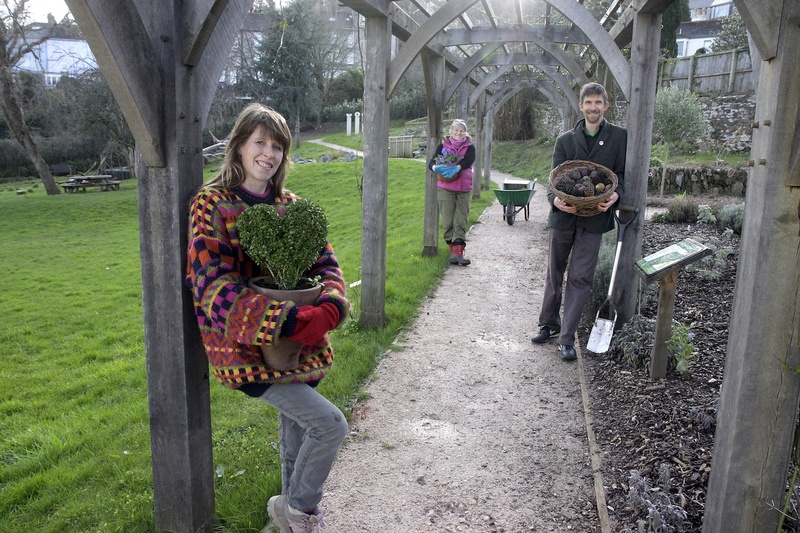 Run by 'Sustain', the alliance for better food and farming and backed by 'The Social Action Fund', The Big Dig aims to get people to discover what their local community gardens and growing spaces have to offer. 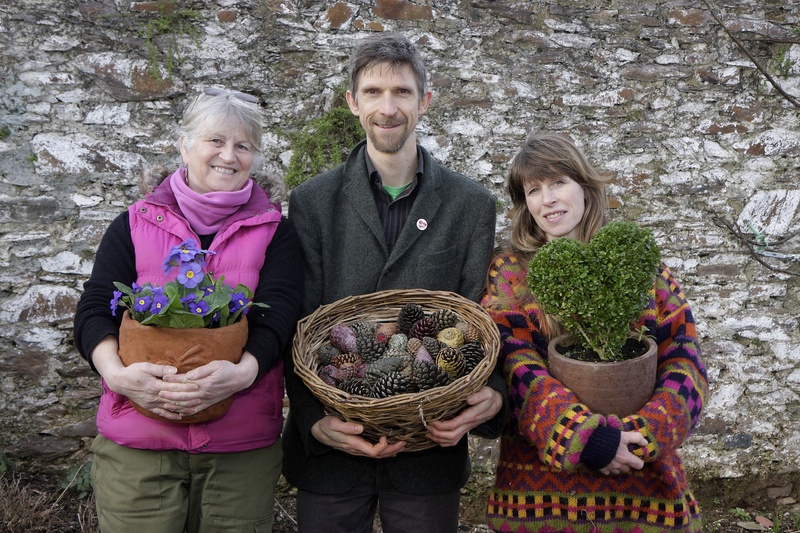 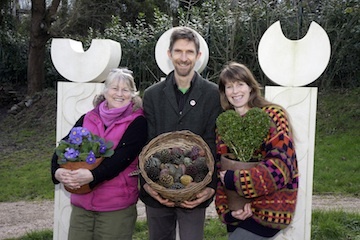 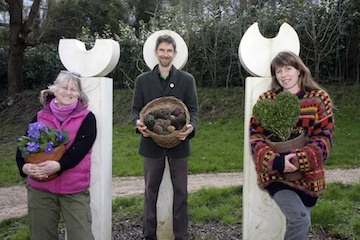 The renowned creative town of Totnes in Devon has really taken this event to heart and a collective of 4 local garden organisations are working together to provide not just one day, but a whole week of special activities from 16th ý 23rd March as part of the event. 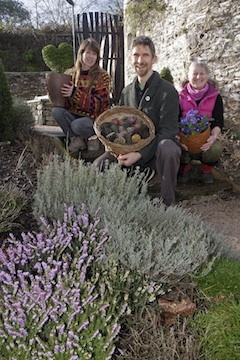 The pictures below (of "Laurel, Larch and Apple") were taken in the Leechwell Garden to promote the event. 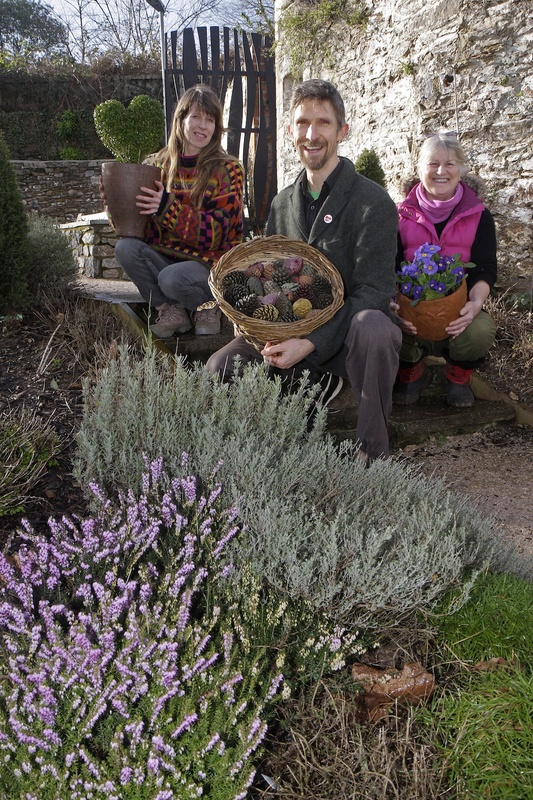 Click on any picture for a more detailed view.